GEC’s values of ownership, teamwork, quality, and customer relations are important to the success of the business. We have seven core values and we invite you to read our corporate statement. The George Evans Corporation plant occupies two city blocks along River Drive in Moline, Illinois. Located west of Chicago on the Mississippi River, Moline is at the intersection of I-80 and I-74. The GEC plant encompasses 110,000 square feet with the great Mississippi River view from our front windows and the railroad in the rear. In yesteryears the railroad was the means for product to get in and out of the plant. Today we are we are now serviced by truck and are equipped with a 4-ton overhead crane in a covered bay for raw material. Air freight is routed through the Moline Airport, less than ten miles from the plant. 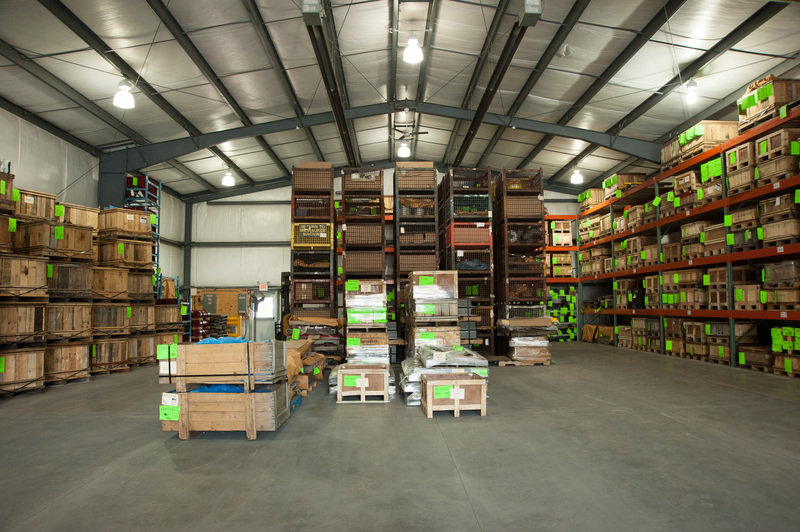 In addition to office and manufacturing space, there is a 12,000 square foot inside steel storage area, 6,500 square foot tool set-up space, and an inside die storage section adjacent to the tool and die maintenance shop. 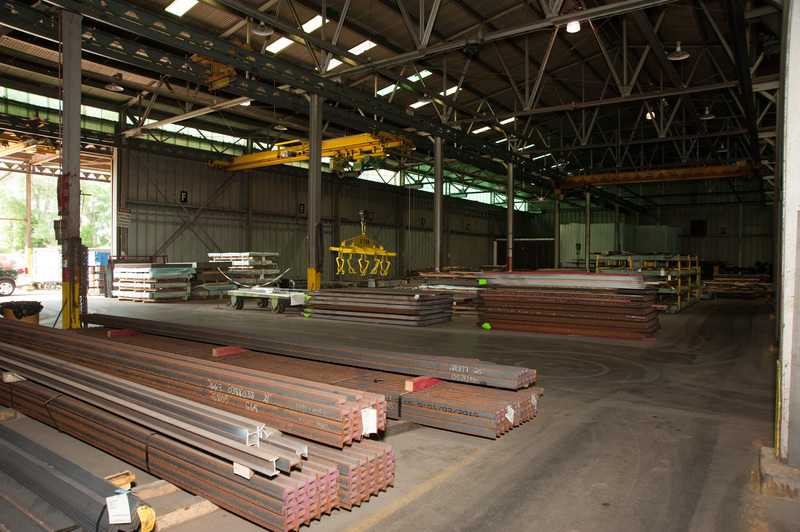 GEC has several locations within the plant that are designated as Flex Space. These areas are dedicated to specific programs as they are scheduled. The areas range in size from 1,000 to 3,000 square feet based on customer need. 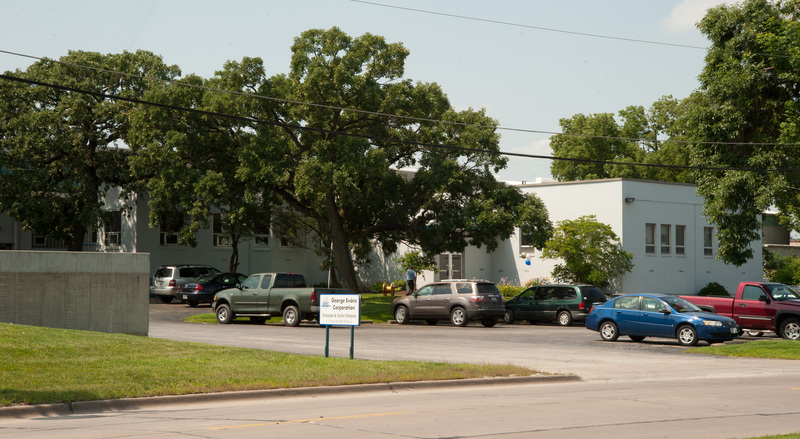 Shipping and receiving occupies a newer building built in 2012 covering 7,200 square feet. 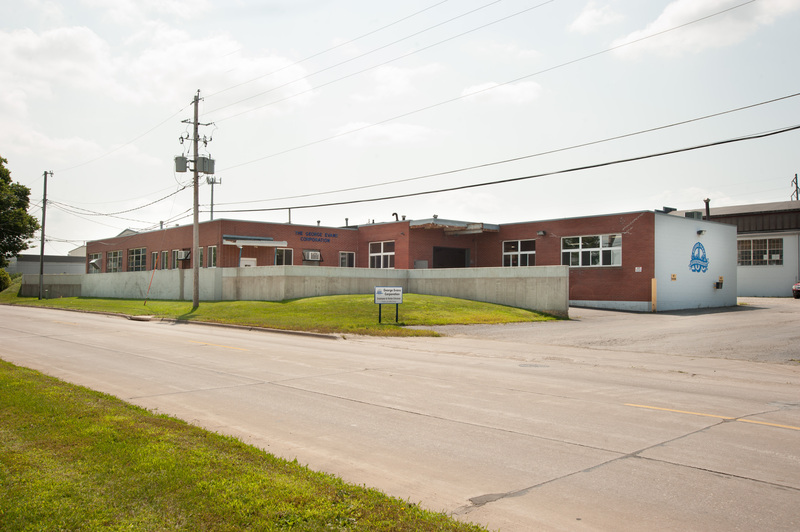 The machine center and laser building is yet another building that houses two of our five lasers along with our Mazak equipment for machining. In 1926, the company incorporated and changed its name to The George Evans Corporation (GEC). 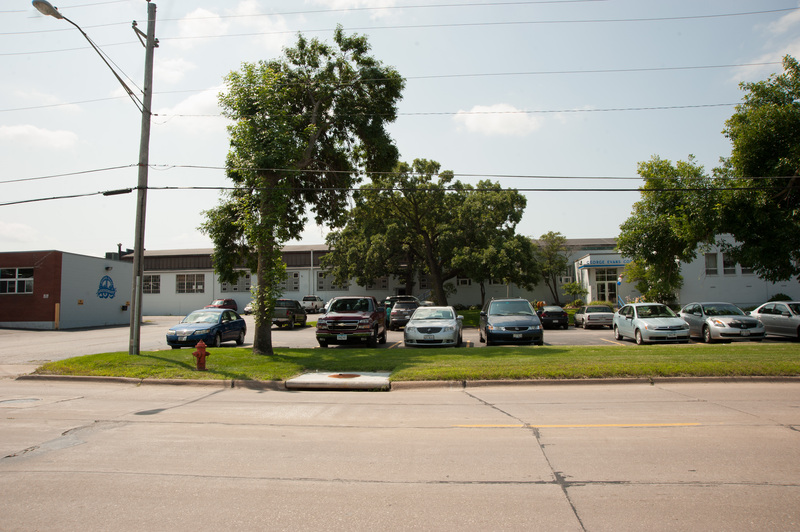 The company serviced many local, regular customers, including Allis-Chalmers Manufacturing Company, Deere & Company, International Harvester Company, and other smaller companies in the Moline, Illinois area. As the company progressed, so did the product lines. The Evans home heating furnace became popular as it was distributed and sold to homeowners in Iowa and Illinois. The company also manufactured several items for Western Electric Company, including paraffin pots, telephone junction boxes, telephone cord repair tables, and the well-known Toroidal® Reels. Over the years, the company continued to add telephone and electrical cable manufacturers to its list of clients. The George Evans Corporation also designed and built the mesh mills necessary to produce the core material used in permanent mesh filter construction. In collaboration with Augustana College, a test chamber was created to monitor the filter performance on a regular basis. The testing program expanded and developed into the Augustana Research Foundation. Continuing to provide a variety of services, The George Evans Corporation offers custom metal fabrication, manufacturing processes, timely quotations, on-site engineering staff, computer tracking of manufacturing costs and production status for each order, and a formal quality control process. The impressive list of clients proves that The George Evans Corporation continues to serve its customers well. Today, a four generation family tradition continues to provide quality metal fabrication to industry. The George Evans Corporation looks to the future with strong commitments to teamwork and cooperation in manufacturing quality metal products, shipped on time at fair market prices. The company also understands that its corporate strength and potential can only be realized by responding to the needs of customers, employees, and the community. 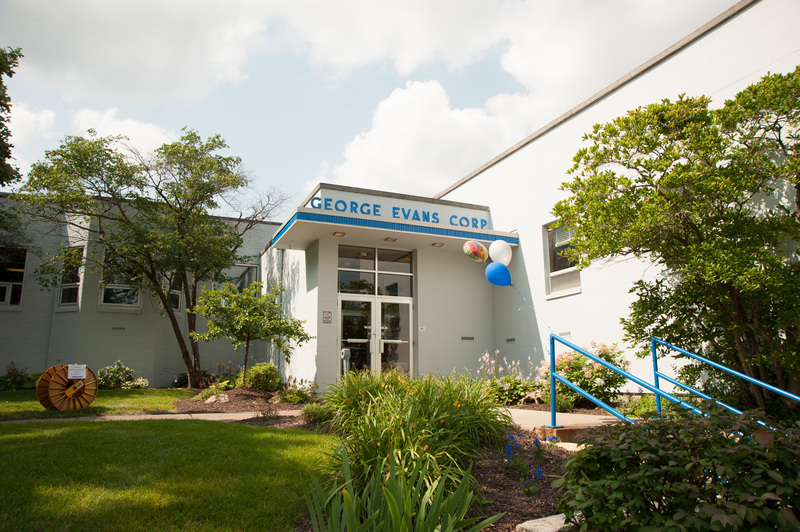 The George Evans Corporation in 2015 celebrated 100 years! When George Evans built the original facility, he chose this location because of its flat wagon road that lead to town which also had access to the railroad so he could get his steel delivered. Almost everything was shipped on the railroad in 1915. When the railroad moved a gondola car onto our siding, a bell would be rung and everyone in the shop would lend a hand to offload the steel, one sheet at a time, by hand, until the job was done. Sometimes it would take all day to do it. 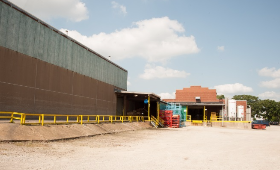 In 2011, the rail connection was severed and a road placed in back of the plant to allow access to our front docks during high water. Nothing stops us from making our deliveries! Our first customers included many of the automobile manufacturers that were in this area. The Velie had parts from George Evans as well as the gas tank of the Farmall tractor which had its filler neck soldered here. We have survived record floods, The Great Depression, World Wars, and economic instability. During the last 100 years GEC has made bed pans, bread pans, cookware and parts for the M-18 HELLCAT motorized Tank Destroyer during World War II. We’ve made parts for cars, tractors and combines. We patented and manufactured the Evans Oil Burning Furnace. In recent years we make TOROIDAL® cable reels and Contract Metal Fabrication for multiple OEM customers. Look through the pages of our web site to find the services your firm needs. If you don’t find what you require, call us and we’ll come to you and talk about what service you require. We would be proud to add YOUR FIRM’S NAME to our list of customers. The George Evans Corporation fabricates all types of carbon steel, aluminum, stainless steel, copper and brass to meet your high quality and exacting tolerance specifications. Our flexible plant floor is designed to complete the effective production of your part, component or assembly at competitive prices. Our close proximity to a variety of transportation options guarantees timely delivery. Copyright 2019 George Evans Corp. All rights reserved.